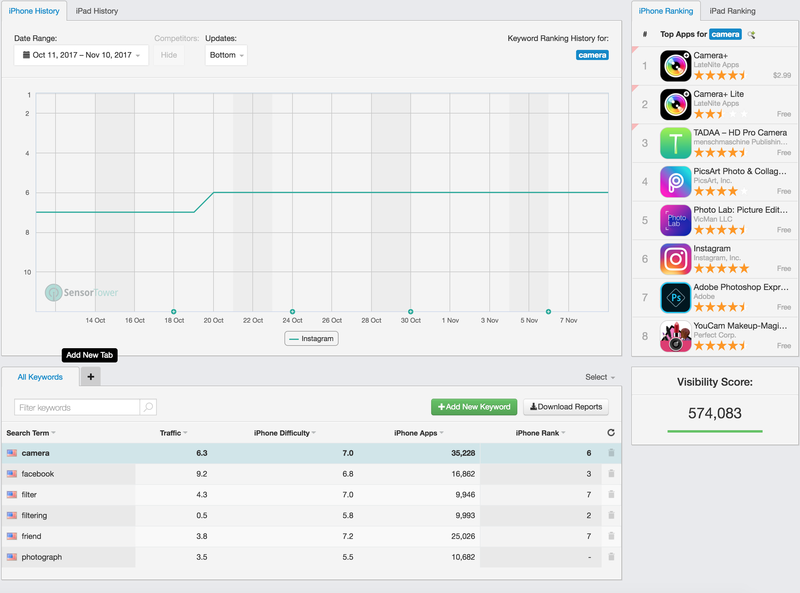 In the Keyword Rankings feature, you can track daily keyword rankings for any app across multiple countries, view the traffic score and difficulty score of all the keywords you’re tracking, and identify the apps that are ranking in the top 10 for a particular keyword. You can also add custom tags to separate cohorts of keywords. You can identify the apps ranking in the top 10 for a specific keyword to help you evaluate if this is a potential keyword to use in your keyword string. You can use our Keyword Suggestions or Keyword Spy feature to find potential keywords to track on Keyword Rankings. If you are tracking competitors under our Track Competitors feature, competitor apps who rank for a selected keyword will show as a separate colored-line on the graph.